MANILA—Magnolia completed the semifinal cast in the PBA Philippine Cup after eliminating Ginebra, 85-72, in the last game of the quarterfinals at the Smart Araneta Coliseum in Quezon City on Wednesday night. The Hotshots came alive in the third quarter, but they still needed to stop a comeback from the Barangay in the final period to seal a date with the Rain Or Shine Elasto Painters in the next round. After a relatively close first half, Magnolia threatened to pull away in the third frame, outscoring Ginebra, 28-13, to take a 70-50 lead. Mark Barroca even started the fourth quarter with a pull-up to stretch the Hotshots' lead to its largest at 22. However, Jeff Chan caught fire later in the fourth quarter, helping the Barangay pull to within nine, 69-78, with 3:15 to play. 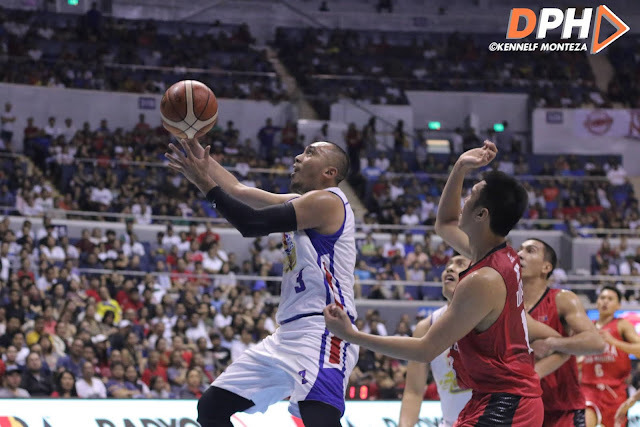 But Paul Lee, who was held scoreless for most of the fourth after erupting for 22 in the first three period, scored a dagger triple with 2:40 to play as Chan lacked the needed support to complete the comeback. Lee finished with 25 points on 9-of-15 shooting including 5-of-8 from long range with five rebounds, three assists, and one steal off the bench for Magnolia, whose best-of-seven series against ROS will tip off on Friday night at the said venue. Barroca added 13 points, three rebounds, and one assist, while Ian Sangalang posted a double-double of 10 points and 10 rebounds with two assists. Chan made all of his 17 points in the final quarter, while he also has six rebounds, one assist, and one steal for Ginebra, which was knocked out despite being the third seed in the playoffs. Quarters: 20-23, 42-37, 70-50, 85-72.